Diabetes in one of its three common forms is one of the major medical issues affecting the majority of people in the modern world. Around 90 percent of people affected by diabetes discover the problem when they are adults and find out they have Type 2 diabetes; around 10 percent of Canadians with diabetes have Type 1, which means the pancreas does not produce insulin and is often diagnosed in childhood. For the majority of Canadians living with diabetes it is important to monitor blood glucose levels at home using a glucometer. Type 1 diabetes usually diagnosed during childhood and is a medical problem with the pancreas; while Type 2 diabetes is often linked with problems such as obesity and a lack of physical activity. Although more and more Canadian children are diagnosed with Type 2 diabetes as obesity rates climb in younger people the majority of those affected by the disease are older people above the age of 40. Because diabetes usually causes the glucose level in the blood to raise above a healthy rate it is important to keep a track of this level using a blood glucose meter. When the blood glucose meter shows a level below what has been deemed safe by a physician or diabetes educator a dangerous condition known as hypoglycemia can occur. Because of the dangers linked with diabetes it is important to understand the warning signs for both children and adults to ensure prompt medical assistance can be sought if required. In children the common warning signs revolve around urination and can include a return to wetting the bed in older children, in all children the need to urinate more often is a common warning sign of all types of diabetes. In adults, when Type 2 diabetes is the most common an increase in urination is another warning sign that should not be overlooked as a symptom of the condition. Linked to frequent urination many people who become affected by diabetes in later life feel they have an unusually high level of thirst. People being affected by diabetes often see a high level of weight gain or loss as the disease begins to affect their body; as the glucose level in the body reaches unhealthy levels another common symptom of diabetes is a high level of fatigue making the individual more tired than they usually are for longer periods. The warning signs of diabetes that often show the need for medical care also include problems with the extremities of the body with feelings of tingling or numbness in the arms, legs, hand and feet. 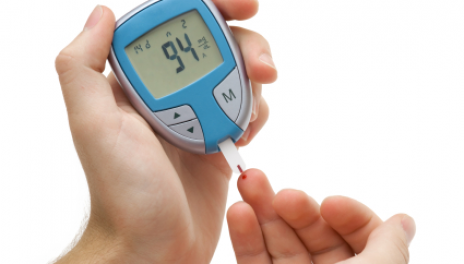 The vision of a person with diabetes that is not managed or monitored with a blood glucose meter can also be affected and result in blurred vision; another warning sign is the body being easily bruised and cut coupled with slow healing times. Using a glucometer is a good way of monitoring the blood glucose level and is often recommended by diabetes professionals making sure the levels of glucose in the blood do not fall to unhealthy levels is vitally important. In the early stages of Type 2 diabetes the condition can often be managed simply with lifestyle changes including more frequent exercise and dietary changes. As people age and diabetes often becomes more difficult to control the use of a blood glucose meter can become more important. Paul Chai is a health & wellness enthusiast writer with interests around diabetes management and diabetes blood glucose meters with One Touch. Next story Which Upgrades Should I Select When Choosing My New Nissan?